Students have had lots of opportunities in recent weeks to focus on their future career and education pathways – and have some very exciting opportunities to come. Year 13 students that are unsure about their future choices or have decided that university is definitely not for them have had a talk from the organisation Amazing Apprenticeships about how they can apply for high level apprenticeships, and the types of opportunities that are available for them. This will soon be followed up by various companies with either jobs or apprenticeship opportunities available (starting in September 2019) coming in to promote their placements, and help students prepare for possible interview and assessment centres. 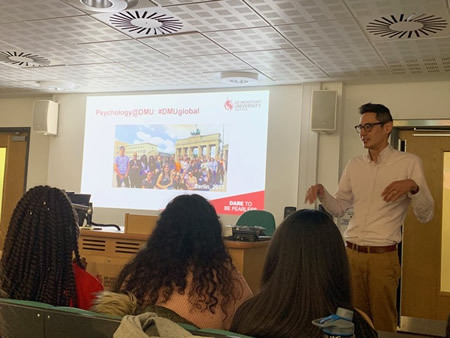 In year 12 students have visited De Montfort University in Leicester, taking in a tour of the campus, a Q and A session with student ambassadors, and having a taste of the academic experience with really interesting lectures in Film Studies and Psychology. 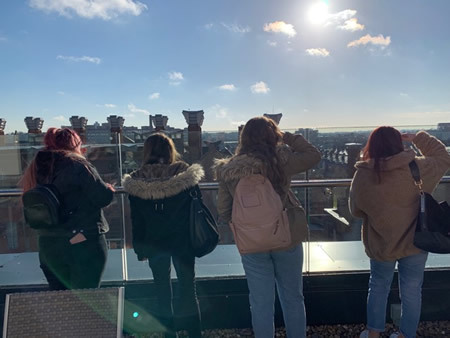 Students also had the opportunity to see what living as a student might be like, taking in some of the accommodation areas and Students Union. The opportunities that are available at De Montfort, including heavily subsidised travel and study abroad opportunities are enough to make me want to consider returning to university! Students in year 12 will be having a series of talks on apprenticeships starting very soon as well, so by the time they reach the end of their year will be able to make some very informed choices about what their future may hold.